> Superb exhibition stand in 5 standard sizes and unlimited custom sizes. 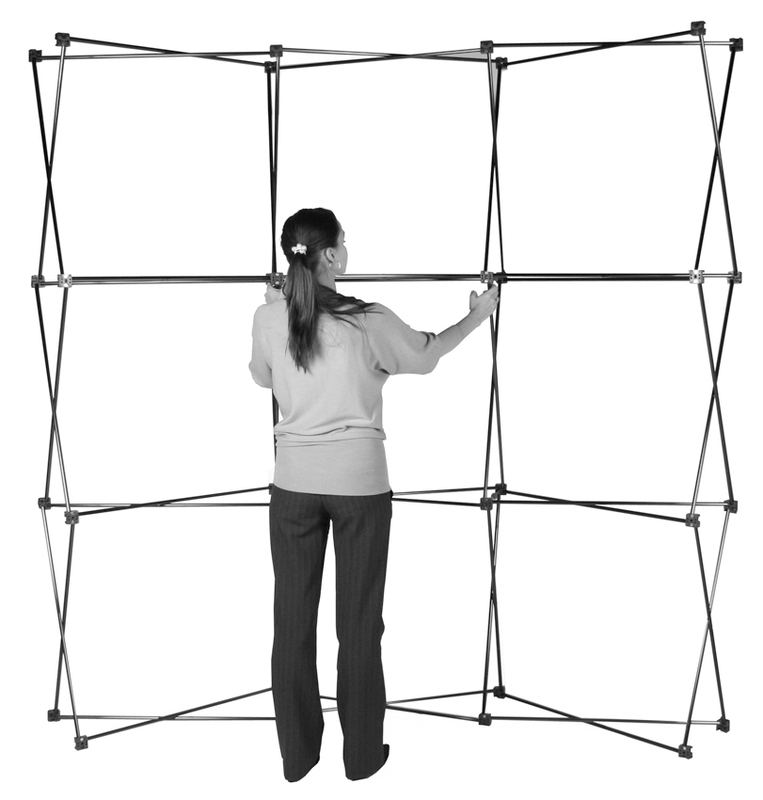 > Fully guaranteed UK made pop up frame. > A complete set of full colour LAMINATED graphics printed with your design. > Free! 150W halogen lamps (additional lights available at extra cost). All you need do is supply us with an artwork (or ask about our artwork service) and we will get your display back to you, ready to use, double quick. Fast and easy to assemble with straight and curved options. 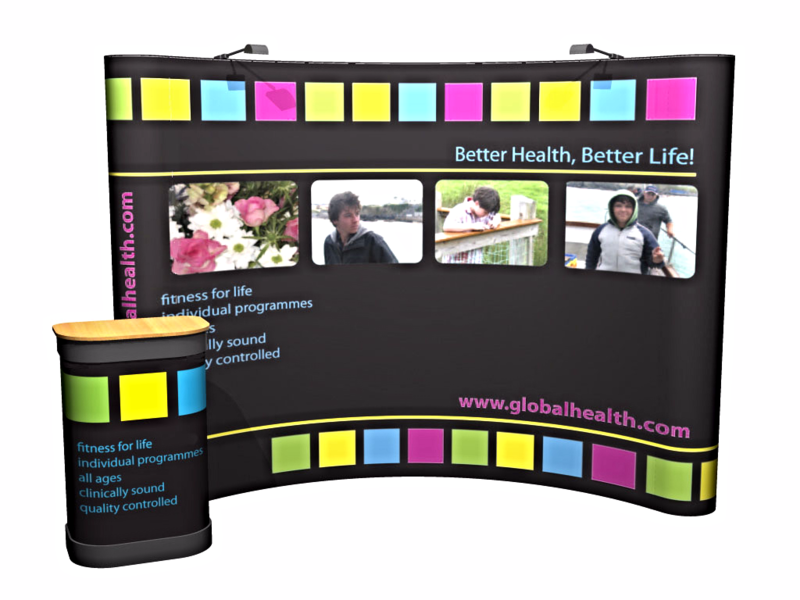 We offer pop-up stands in straight and curved format. 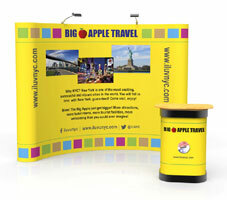 In terms of size we can supply pop up stands to literally any width. In addition we are able to supply pop-up stand in heights up to 2.9m and custom options even taller. Please ask for details of these custom sizes. 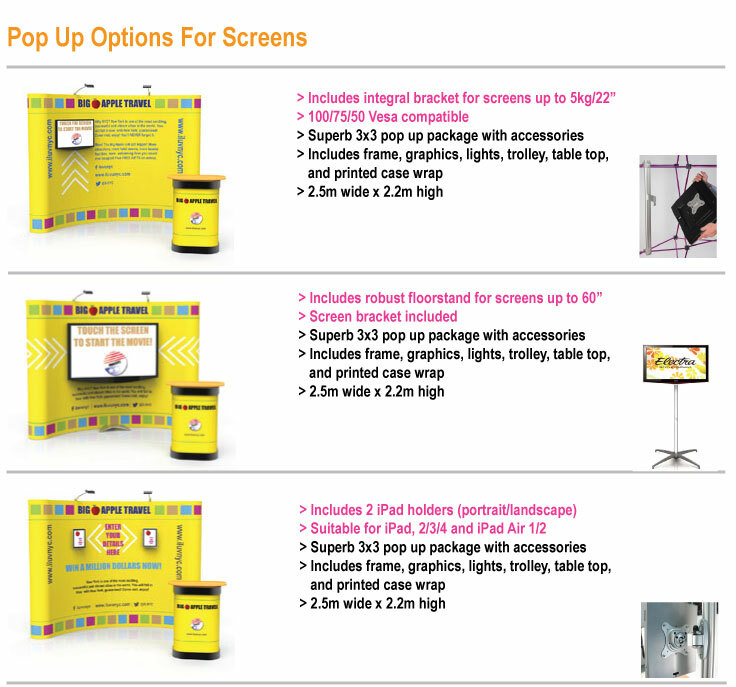 We supply all our pop up stands with hard wearing graphics which can be changed easily. You simply purchase another set of graphic panels to refresh your stand with your updated message. It is also possible to change one or two graphic panels within a set. 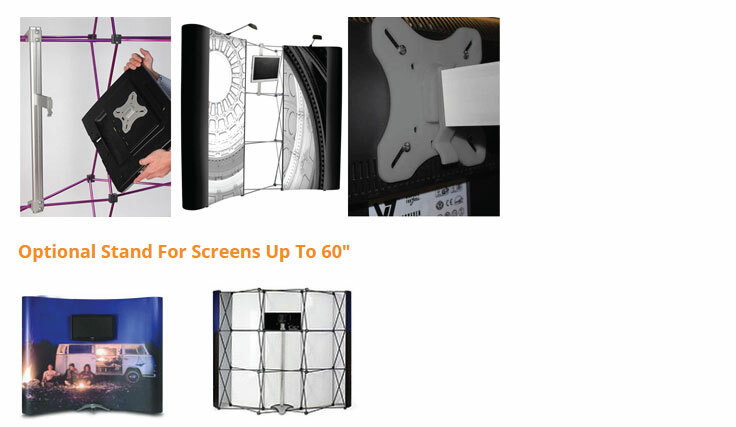 This makes the pop-up stand incredibly flexible and adds to its huge popularity. Or our pop up stands are fully guaranteed so you can buy from us with total confidence. All you need do is to supply us with an artwork to print from (if you do not currently work with a graphic designer we can help with artwork too).